HOWEVER, you can configure Backpack to your project's needs by extending the underlying Webpack 2 configuration. src/index.js: the entry of your app. For custom advanced behavior, you can create a backpack.config.js in the root of your project's directory (next to package.json). // IMPORTANT: This file is not going through babel transformation. // You can however use the ES2015 features supported by your Node.js version. 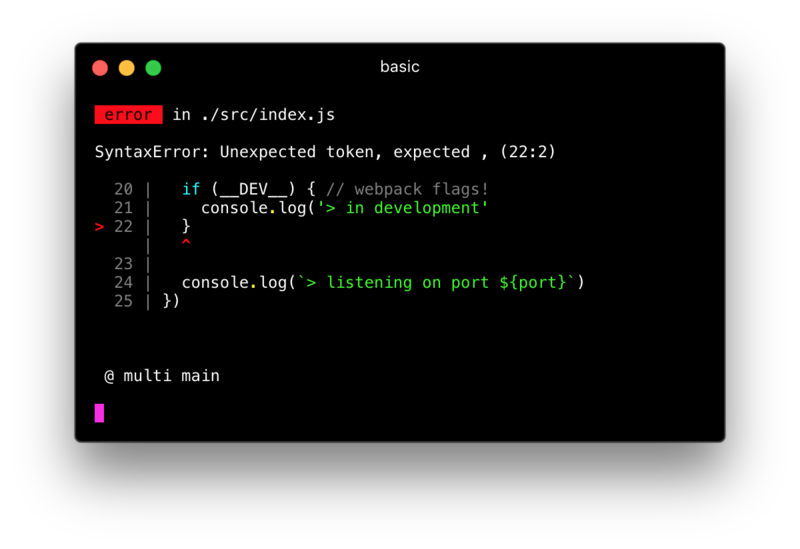 To extend webpack, you can define a function that extends its config via backpack.config.js. To extend our usage of babel, you can define a .babelrc file at the root of your app. This file is optional. If found, Backpack will consider it to be the source of truth. Thus it must define what Backpack needs as well, which is the backpack-core/babel preset. This is designed so that you are not surprised by modifications we could make to the default babel configurations. Note: This works exactly like Next.js does. Runs backpack in development mode. Your code will reload if you make edits. You will see the build errors in the console that look like this. It correctly bundles your production mode and optimizes the build for the best performance. Your application is ready to be deployed! Is this like Create-React-App or Next.js? Yes in that they will all make your life easier. No in that it that Backpack is focused on server-only applications. You should use create-react-app or Next.js for your frontend and then build your backend with Backpack. Can I use this with React to build a universal app? Technically, yes. However, we strongly advise against it at the moment. Backpack handles file-watching and reloading in a way that will make things like webpack-hot-middleware annoying to work with. What syntactic features are transpiled? How do I change them? We track V8. Since V8 has wide support for ES6 and async and await, we transpile those. Since V8 doesn’t support class decorators, we don’t transpile those. Why is it called Backpack? Backpack is focused on server-only applications. 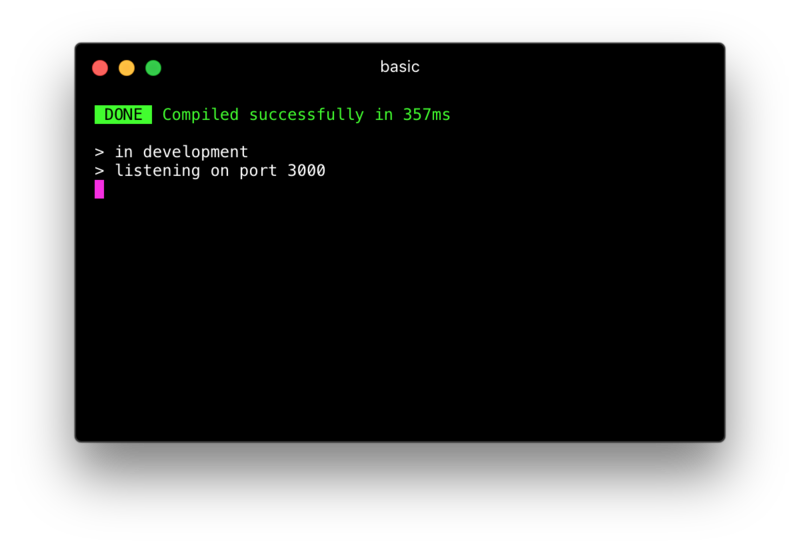 We've been using it for building out Node.js backends and microservices. Under the hood, Webpack and a few other tools make the magic happen. Hence Backend + Webpack = Backpack.